The Southern Illinois University Edwardsville Graduate School will host its annual Open House on Wednesday, Oct. 14. The event will consist of two identical sessions: 11 a.m. -1 p.m. and 5-7 p.m. in the Morris University Center’s Meridian Ballroom. Prospective graduate students will receive information about SIUE’s various graduate programs, graduate admission requirements, graduate student services and financing a graduate education, including graduate assistantships and competitive graduate awards. Attendees will be given the opportunity to speak with representatives from each of the graduate programs in the College of Arts and Sciences, Schools of Nursing, Business, Engineering, and Education, Health and Human Behavior. In addition, representatives from the Graduate School, Graduate Admissions, Financial Aid and Testing Services will discuss topics such as flexible financing options, educational funding and the track to student graduation. Weinberg explained that the University offers more than 500 graduate assistantships that include tuition waivers. Each assistantship provides the chance for students to conduct research or gain practical work experience. SIUE also awards competitive graduate scholarships. 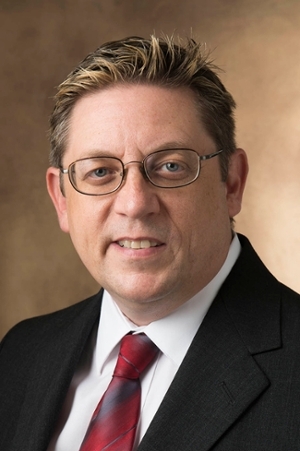 “SIUE is an active research community where faculty members obtain funded grants from major agencies, such as the National Science Foundation, the National Institutes of Health, NASA, the National Endowment for Humanities, the National Endowment for the Arts and many other prestigious agencies,” said Weinberg. Master’s level graduate students from the regional states of Missouri, Arkansas, Iowa, Indiana, Kentucky, Tennessee and Wisconsin will pay the same in-state tuition rate as those students from Illinois. An offer that is exclusive to the Graduate School Open House, the graduate school application fee will be waived for prospective graduate students who apply at the fair – a savings of $30. Parking will be free and available in Lot B, which is located behind the Morris University Center. For additional information or to pre-register for the event, please visit siue.edu/graduateopenhouse. Interested students may also call (618) 650-2741 or email graduateadmissions@siue.edu. Photo: Jerry Weinberg, SIUE Graduate School dean and associate provost for research.